I wrote recently about how I’m not much of a video guy. Because of that I ended up using Famebit for marketing on YouTube. I don’t love the idea of being in the limelight. I cringe when I hear my voice being played back from a recording. Its not my thing. I just am not a public guy. Call me crazy but its out of my comfort zone. I know I need to continue to push myself. Progress is only achieved by pushing yourself further. If you never tried the first time to dive in the pool, you would still be standing on the side. At least thats what I’ve been telling my 6 year old. We are still working on the hands first thing. You have to start somewhere. About a year or so ago I noticed traffic from one of my online stores was slowing. This seems to happen randomly at various times of the year. But this time it was a little longer. I went to Google to check the rankings. Every once and a while I would search for my two specific keywords for this site. Nowadays I use more sophisticated tracking with Moz. But at the time, I would manually look where I was showing up in Google search results. 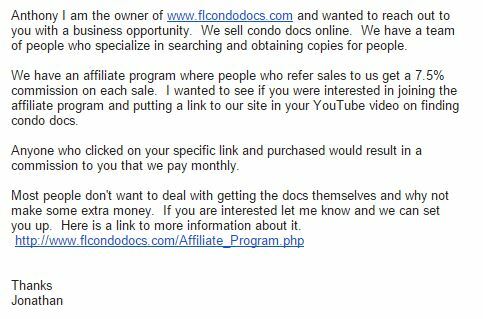 This particular site sells copies of condominium documents. 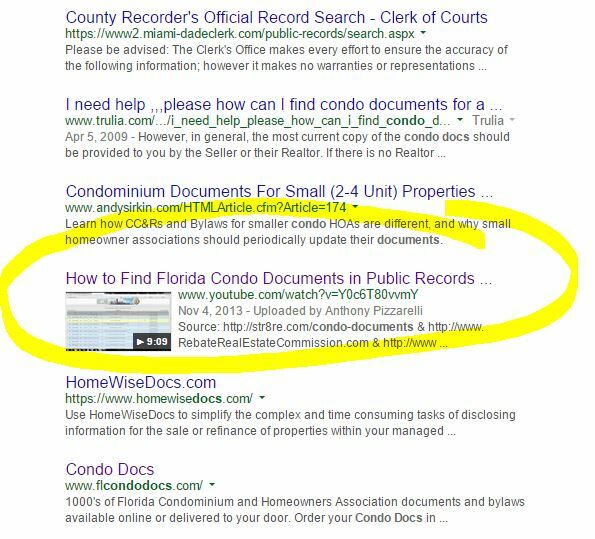 We sell the service to locate and provide a copy of the documents to people in Florida. There are only two keyword phrases that people use to search in this space. There are some variations of this but I have those covered also. I have never really had a problem ranking for these words. There isn’t much competition. Its a highly specialized space and I have been doing the same thing for a long time. My site has always ranked in the top 3 or so and with AdWords I’m able to show at the top anyhow. So when I went to Google that day and plugged in my keyword, I was surprised to see a new video on the page. Google had just started inserting YouTube videos in the search results. Sure enough here was a video in my search results. 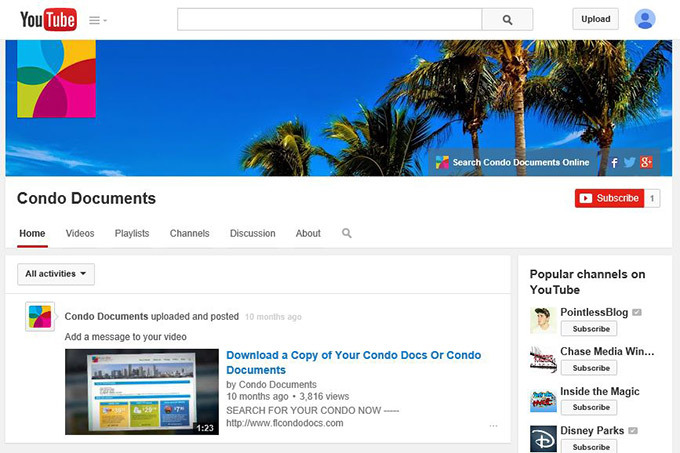 This video was from a guy explaining how to get condominium documents themselves. Random YouTube ranked videos are in regular Google search results. I couldn’t believe it. He was a Realtor and understandably was providing useful information for people. The problem was that it was in direct competition to what I was doing. If they went and obtained their documents themselves, what would they need me for? I Still Had a Competitive Advantage Why Did I Care? Now its not really an apples to apples comparison. We have people that specialize in searching and obtaining the documents. They use various, different sources. We also handle all the work for you and offer hard copies mailed to your door. Its not that he was showing something that was in direct competition. It more that is was a new obstacle to our sale. It was another path they could take leading them away from us. So how was I going to beat his YouTube Rank? I would have to make my own video. His video at the time only had about 300 views. Theoretically I could just create a video of my own and surpass him. Surely my site with years of credibility and link juice could result in a video with a higher YouTube rank. I would have more views than him in no time and replace him in the Google search results. How was I going to make a video if I hated being on video. I didn’t even want my voice to be recorded for a video. I didn’t want to get in front of a camera and make a pitch. 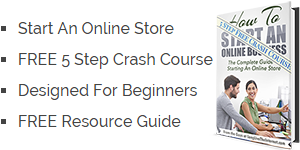 I have written about Fiverr often and its part of our Free Resource Guide that we give away also. You can enter your email below to get our Resource Guide now for free. Fiverr is a marketplace where people will do various jobs for $5. It’s that simple. I can’t tell you the number of things that I have had done on Fiverr. For starters the logo for this site. You can read about our business logo design quest. Now like any good thing, you have to use it with moderation. Fiverr has plenty of junk jobs on the site. You have to weed through the bad to find the good stuff. It’s kind of like the clothing racks at Marshalls. 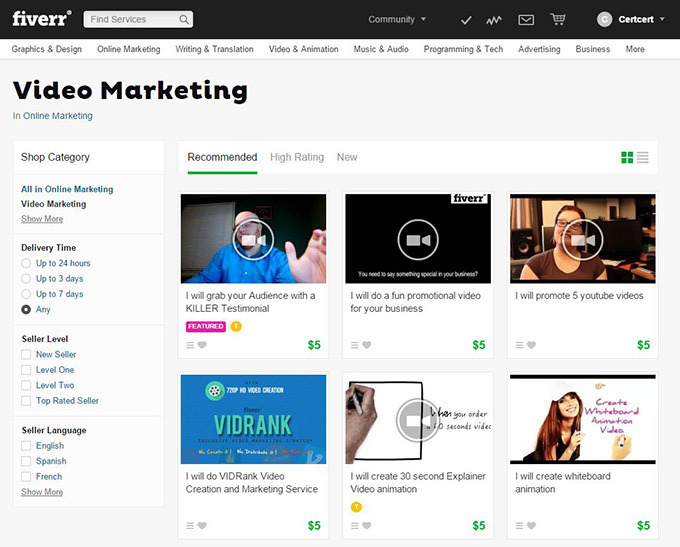 I had never actually used Fiverr for video at the time so I wasn’t sure what I was looking for. I clicked on the top navigation for “Online Marketing.” From there I found the sub category “Video Marketing.” Up came a ton of options to chose from. I sorted by highest rating to try and weed out beginners and providers that were sub par. The results were many different video producers with varying pitches. I didn’t want a testimonial video. It didn’t serve the purpose. I was trying to convey the message that you can easily come to our site and get your documents. I found a provider who looked perfect. With a couple lines of script, and some static screenshots, they would make a video. That sounded perfect for $5. I wrote out the script and took screenshots of the site that I wanted included. I had an option of 3 cheezy music selection types. Classical, Upbeat, or Dance. I sent the images and the various bullet points through Fiverr and waited. In two days I received an email that the video was done. So I had my video, but now it was time to upload to YouTube. I had never actually done this before but figured it couldn’t be too hard. I logged into YouTube with my Google account. 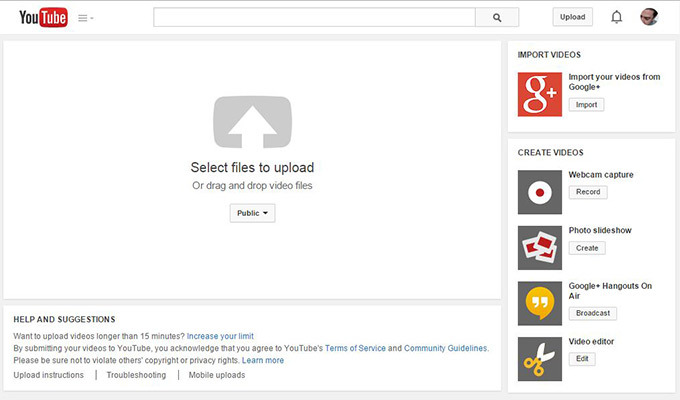 Sure enough, there was a nice little “Upload” button in the top right. The next page was a simple, easy to understand, screen prompting me to upload my video. I navigated to my desktop where I had saved the video from Fiverr. YouTube showed a message that it would take some time to process my video. I thought it would be instantaneous. 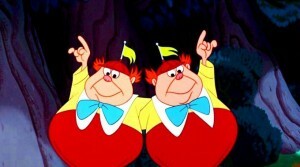 I believe they were running it through various adult and copyright infringement filters. Within the hour I received notice that my video was public. I still consider myself a novice with YouTube but at the time i knew less than I do now. I highly recommend this heavy duty YouTube SEO guide if you are looking for advanced tips. What I knew at the time was I needed to add keywords to my video Title and description. The more comprehensive my description was, the better chance I had for ranking on Google. I loaded up my title and description with the keywords that I was going after. I also made sure to put a compelling call to action in the description with a link to my site. As an added measure I created a YouTube channel. This is a page where you can group all your videos together. It lets you customize the look and include links to your social accounts. Its another page where you can get further exposure for your brand. In my case I only had the one video so it was a little weak but it gave the one video a little extra umph. See below. Once I was done setting it up, I waited. With any good SEO experiment, patience is a crucial ingredient. I waited two to three months. Nothing was happening. My video was dead and nobody was watching it. It turns out that video views is a crucial consideration of Googles. If your video has too few views, its less likely to be included in Google Search results. These views are one of the factors in your YouTube rank. I had no views. How was I going to get them? You can’t just view the video yourself over and over. Google knows who you are. These views may no not even be counted. If I was going to compete, I was going to need video views. Without views, I had no chance of improving my YouTube rank. By this time, the competing video was up to about 700 views. I needed a lot of views to compete here. I went back to Fiverr and danced with the devil. 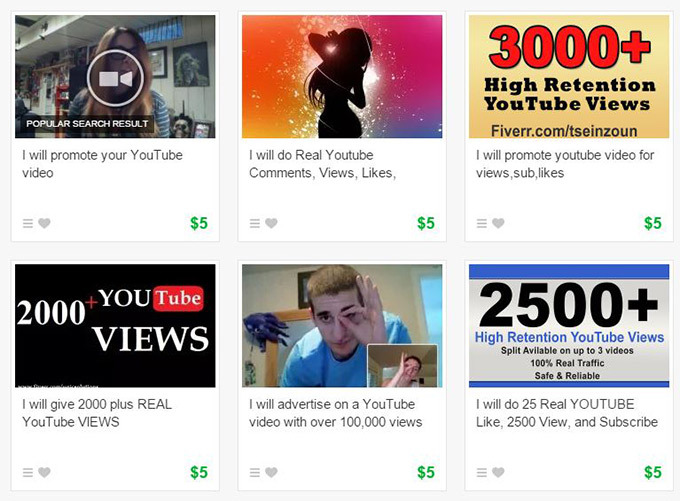 Fiverr has tons of people offering views for money. Basically you spend $5 and you can get YouTube views. These people run a script to have your video played by automated machines. These range anywhere from 25 views to 100,000 views. Unfortunately these are garbage views. YouTube has gotten sophisticated. They know where the views are coming from and how much of the video has been watched. If they suspect its fake, they will remove your views. A worse scenario is they actually remove your video. At the time I needed a quick fix. I decided I would go small and buy 500 views. The rest of the views I thought I could get naturally. I spent $5 and sure enough in a couple of days I was notified my views were there. I went over to YouTube and there they were. Only there weren’t 500 views like I had bought. There was 301. That seemed strange. I thought I had about 5 or 6 and then bought 500. Why 301? I waited a couple of days and it hadn’t moved. I watched the video again from another computer. There was no way it was still 301 views. I searched on Google and sure enough there was a hold. Original way that 301 views would show. The above view count is how it used to show and below they have added a + sign to make it clearer. It turns out that YouTube manually holds all videos at 301 views to ensure they are legitimate views. I was cooked. I thought for sure they were going to see my views were purchased and remove the views. Worse they may actually remove my video. I waited another week and couldn’t take it anymore. My video still wasn’t showing in the Google search results. My YouTube rank didn’t seem to change. My number hadn’t gone passed 301 views and they may toss my video. Maybe YouTube or Google knew that all those views came in at the same time. Maybe they suspected they were fake. I had to start getting real views. My new technique to improve my YouTube rank and avoid trouble was to try and get real views. I decided that I would have to play by their rules. I remembered reading that I could advertise on YouTube. I wasn’t actually sure how to do it. 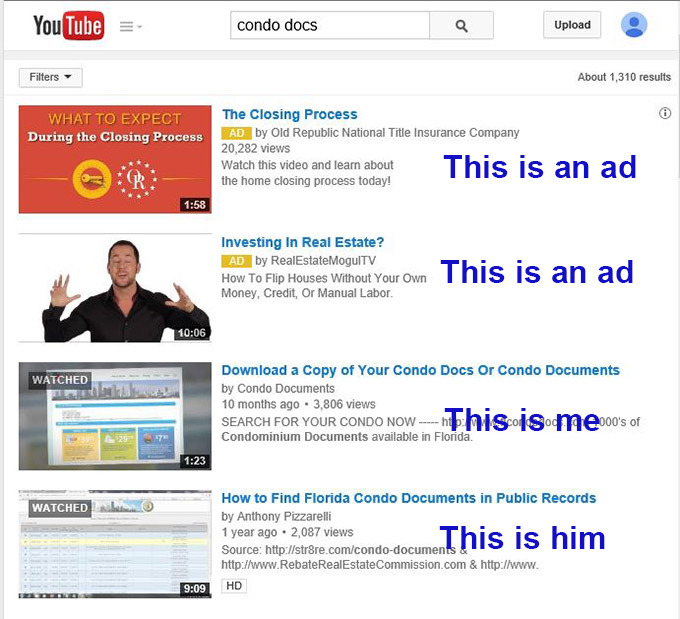 It turns out that YouTube advertising is actually handled through Google Adwords. Below I will run through some DIY instructions. If you rather skip ahead to the rest of the story just skip this next section. 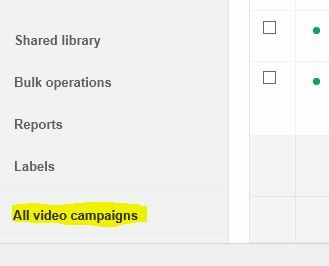 I signed into my existing Google AdWords account and found the “Video Campaigns” link in the bottom corner. From here you are able to create a campaign for your YouTube video. The first step is to link your YouTube channel to your Google Adwords account. They need to know which videos are yours. This is done on the left side of the screen once you are in the Video Campaign section. That’s simple enough. Now comes the tricky part. You start by creating a campaign. You will go through some basic questions. You will fill out how much money you want to spend and where you want your video to be played. You can segregate by location and various other options. In my case I was more interested in getting views. I was less focused on laser targeting my demographic. I did set the videos to only run in Florida. Since the product is almost always for people located in Florida, I would have a better chance of converting. The next step you target your viewers further and set your cost per view. CAUTION: You can rack up a bill quickly. I always recommend to start small like 5 cents a view. If you aren’t getting enough views, you can always increase your bid. In my case I was less concerned about the ability to convert any of these viewers. I was on a quest to improve my YouTube rank to dethrone the competitor. I wanted to get my video organically ranked in the search results. I further refined the group and weeded out people under 25. My hunch is that they aren’t my demographic. You have the ability to refine your target audience nicely. Once you save your target group you are ready to add your Video Ad. Search for your video in the box they provide and it should come up in the results. Select your video and then select from a few other options. If you are overwhelmed or bored, you can leave it with the default settings for now. Last step is to confirm your campaign isn’t paused and you should be in business. 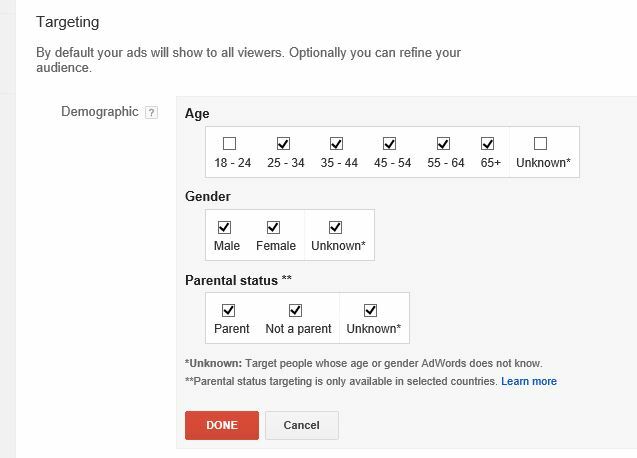 Your video will now show to viewers based on your defined target and demographic. So my new Google Adwords campaign was active. I started getting traffic to my YouTube video. I was able to login to Google Adwords and see the view count and the cost. A couple days later the 301 hold was lifted and I had about 550 views. Within a couple of days i was consistently getting about 40 views a day. Within 2 months I had an additional 2000 views on the video. Remember I said you have to be patient with SEO. I was patient but unfortunately I wasn’t seeing the results that I wanted. I was nowhere to be seen on the first page of google search results. By this time I had far more views than the competing video. My keywords were exactly in line with what I was targeting for. I even went around and asked friends and family to thumb up the video. Maybe that was also affecting the results. My video was still not on the Google search results. Its like Google just decided it wasn’t relevant and they weren’t going to show it. Good news was that my YouTube rank was higher than his. I did outrank him in YouTube itself. This means that anyone going to YouTube and searching for my keywords, saw my video first. This was a win. Not the win I was looking for but a win. I could now capture leads from YouTube searches. The two videos at the top of the search results are paid ADs. It doesn’t make sense for me to pay for ads any more. The videos don’t convert. My target purchaser is searching on Google and not on YouTube. Their intent is on Google. So I had made it to the top of a meaningless mountain. I had accepted defeat. I had increased my YouTube rank on YouTube but not on Google. I would settle for having the number one spot on YouTube with quite a bit of views. I thought that maybe after more time I would possibly show organically. I was out of options based on my knowledge at the time. I knew it wasn’t a serious problem. I could see the number of views that his video had. I could compare his views with the traffic that I was receiving from Google search. From this comparison I knew the majority of visitors were coming to me anyhow. I just wanted to own that extra screen real estate. A couple months passed and I was listening to a podcast from two affiliate marketers. They were talking about how they started out. The first guy said that he started in affiliate marketing without a website. He said he would find videos of silly things on YouTube that had large view counts. For example he would find a video of silly cat tricks with a ton of views. He then would find a cat related product with an affiliate program. He would approach the video owner by contacting them through YouTube. He would ask them if they were interested in making money with their video. He then explained that all they had to do was add a link to their video description. When sales were made from this link, they would both receive a percentage of the sale. What a simple, amazing idea. Monetize the traffic that already existed from videos that already were ranking. This was my chance. If I couldn’t get my YouTube rank up enough to show in organic search, I would join him. The video I was competing with in the search results wasn’t a competitor. He wasn’t selling Condo Docs or offering that service. He was a real estate professional just looking for exposure. Why wouldn’t he be interested? I already had an affiliate program in place on the site. I realized I just needed to reach out to him and ask if he wanted to play ball. I had nothing to lose. He wasn’t creating a competing venture. He was a Realtor and probably would like the extra cash. I crafted an email and off it went. Here is the email that I wrote to him. The same day I received a response. He bit. He was interested. Nice guy and we went back and forth a couple times. We decided the customer wasn’t asking for a discount and the YouTuber would benefit from the additional commission. I setup the affiliate link and sent it to him ready to go. I then had to hound him for about two months to actually get around to adding the link. Because it wasn’t a large amount of money, I think he was less motivated. I could probably have sent him an initial kicker to motivate him more. It took a couple of times following up but it worked in the end.